I joined the History Department at the Open University in 2009 after three years in the neighbouring English department as a research fellow on an AHRC-funded project, The Reading Experience Database (1450-1945). Before that, I completed my BA (Hons) at the University of Queensland in Australia, and was awarded an MPhil and PhD in history from St John’s College, University of Cambridge. I have also taught modern British social and cultural history at the University of Cambridge. At the Open University, I am director of the Centre for the History of Crime, Policing and Justice, located in the History Department, a member of the Book History Research Group based in the English Department, and also an affiliated member of the Harm and Evidence Research Collaborative in the Faculty of Arts and Social Sciences. I also remain a member of the project team for the Reading Experience Database. Outside of the OU, I am a fellow of the Royal Historical Society. I am also, together with Prof Heather Shore at Leeds Beckett University, editor of a new monograph series published by McGill-Queen's University Press: States, People and the History of Social Change. Broadly speaking, my research interests lie in a 'long' nineteenth century, c1780-c1914. More specifically, I am interested in the society and culture of nineteenth-century Britain, and particularly themes such as criminal justice, popular culture, education and reading practices. I welcome PhD proposals on these themes but also on other social and cultural topics in the period of the nineteenth century. Recent and current PhD students have worked on a range of projects including policing in nineteenth-century Leeds, representations of crime in the late nineteenth and early twentieth-century press, and the relationship between the civil and military codes of punishment. While working as a research fellow on the Reading Experience Database, I began a new research project combining my continuing interests in crime and working-class culture with a developing interest in the history of reading. For several years, I have been working on the general theme of educating criminals in nineteenth-century England. I am interested in both the acquisition of elementary skills by criminals outside and within the prison walls, and also in the transmission of illicit types of knowledge, for example, skills in the commission of crime. Thus far, I have completed a number of articles and chapters on the literacy rates of prisoners and educational programmes designed to reform offenders, and I am also working on a full-length book treatment of this subject. In April 2012, I was awarded a small grant from the Marc Fitch Fund to use surviving prison records from Suffolk to map the educational experiences of the poor in that county for the seventy years or so prior to the 1870 Education Act. In March 2014, I was awarded an AHRC Early Career Fellowship to complete the research for my book on nineteenth-century prison education (see the project website). As part of the latter, in 2018 I launched a new resource, Prison History, a database of nineteenth-century prisons which aims to recover the lost penal landscape of nineteenth-century England (for more information, follow this link). 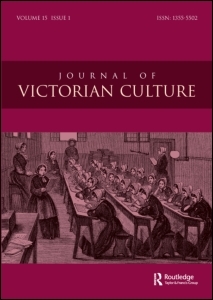 In 2012 I completed a monograph derived from my doctoral research on violent entertainments in nineteenth-century London: Violent Victorians: Popular Entertainment in Nineteenth-Century London (Manchester University Press). This book is the first full-length study to address the wide range of gruesome, bloody and confronting amusements and pastimes, patronised by large numbers of ordinary Londoners, that did not conform to the values of respectability and restraint which we so often claim characterised Victorian culture. While pastimes involving displays of actual violence were brought under control during the early-nineteenth century, graphic, yet orderly, ‘re-enactments’ of high-level violence flourished in street or travelling entertainments, penny broadsides, popular theatres, cheap instalment fiction and Sunday newspapers. By examining these predominantly new amusements in detail, this book explores the ways in which gruesome, bloodthirsty and violent representations provided an outlet, indeed siphoned off, much of the actual violence that had hitherto been expressed in all manner of social and political dealings, thus providing a crucial accompaniment to schemes for the reformation of manners and the taming of the streets, while providing a mechanism through which the common people could ‘protest’ against the values of the establishment. More recently, I combined my interests in popular entertainment and policing to produce a collection of documents for the Pickering & Chatto series, The Making of the Modern Police, edited by my colleague in the history department, Paul Lawrence. My volume, Policing Entertainment (volume 4) was published in autumn 2014. The 6 volume collection has since been reviewed by the Times Literary Supplement (13 March 2015). 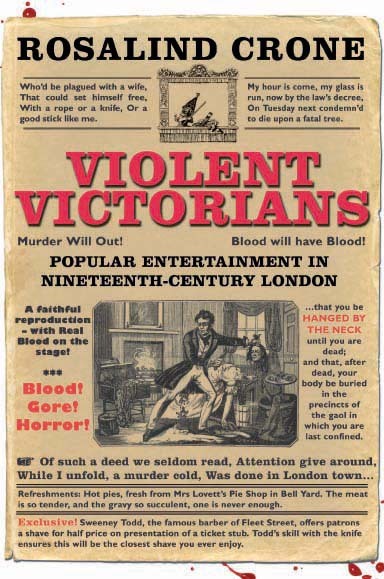 Click here to find out more about Violent Victorians. Between March 2010 and February 2011, I was a Co-I on the AHRC project, ‘Developing an International Digital Network in the History of Reading’ with colleagues in the English department – W.R. Owens and Shafquat Towheed. During this period, the Reading Experience Database (RED) was subjected to major redevelopment: the UK RED website was enhanced, by adding new teaching tools and improving its functionality, in preparation for distribution to colleagues in Australia (Griffith University, Brisbane), Canada (Dalhousie University, Halifax), the Netherlands (Universiteit Utrecht) and New Zealand (Victoria University of Wellington) to allow the creation of other national REDs; and work began on a new international portal housed on the Open University web space to allow simultaneous searching of national REDs in particular fields. For more information, see the RED website. A full list of my publications which have appeared in print can be found by clicking on the 'Publications' tab above. Guide to the Criminal Prisons of 19th Century England (e-book, 2018). Download here. 'Educating Criminals; or, Where did the 19th-century prisoner go to school? ', Social History Blog, April 2018. Read this online. 'Elizabeth Fry: The Great Reformer', BBC History Magazine, May 2017, pp. 44-47. 'The People on the Notes: Elizabeth Fry', OpenLearn, February 2017. Read this online. 'Think entertainment is violent today? The Victorians were much, much worse', The Conversation, 13 October 2016 Read this online. 'Great Expectations: The role of education in penal reform', History & Policy, 27 May 2016. Read this online. 'Was Victorian life really so grim? ', BBC History Magazine, Christmas 2015, pp. 50-56. 'Jack the Ripper, a women's history museum and London's fascination with all things gory', The Conversation, 31 July 2015 Read this online. 'New evidence points to old Jack the Ripper suspect - but here is why I'm not convinced', The Conversation, 10 Sept 2014 Read this online. ‘ “Life after death”: Legacies of executed criminals in the nineteenth century’, Curator’s Choice: Selections from the John Johnson Collection of Printed Ephemera (2011) Read this online. 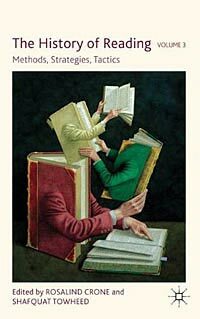 ‘Reading (in) the Past, 1450-1945’, English Review (Oct 2009), pp. 24-26. ‘Crime reporting in the nineteenth-century newspaper’, British Library 19th Century Newspapers (British Library, 2009). ‘The Common Reader’, History Today (January 2008), pp. 42-43. Entries on ‘the popular press’, ‘class and the press’, ‘the Penny Sunday Times and People’s Police Gazette’, ‘the Calendar of Horrors’, ‘Thomas Catling’ and ‘George Purkess’ for the Dictionary of Nineteenth Century Journalism, eds. Laurel Brake and Marysa Demoor (British Library & ProQuest, 2008). I have been interviewed or served as a consultant for a number of television and radio programmes related to my research interests, including Classified Britain (Radio 4/ Loftus Media, May 2018), Inside... The Old Bailey (Channel 5, 2017), A Very British Murder (BBC4, September 2013), Food: A Scandalous History (Radio 4/ Just Radio, May 2013), Great British Bake-Off (BBC1/ Love Productions, August 2013), Mister Punch (CBC/Battery Radio, May 2012), Sweeney Todd (supplementary materials for the DVD of Tim Burton's film, May 2008). Since joining the department I have contributed to a number of teaching modules. Between 2010 and 2013 I was chair of AA312 Total War and Social Change: Europe, 1914-1955 and also of its associated residential school. I wrote several units for its successor module, A327 Europe 1914-1989: War, Peace, Modernity, and in 2012 and 2013 served as co-chair during its production. From 2009 I have been a member of the module team for A825/6 MA in History which is primarily concerned with the local and regional history of the British Isles between 1750 and 1950. For a short video introduction to A327, click here. ISBN : 9781409400271 | Publisher : Ashgate Publishing Limited | Published : Farnham, U.K.
Crone, Rosalind; Lawrence, Paul; Clark, Janet and Shpayer-Makov, Haia eds. Crone, Rosalind; Gange, David and Jones, Katy eds.